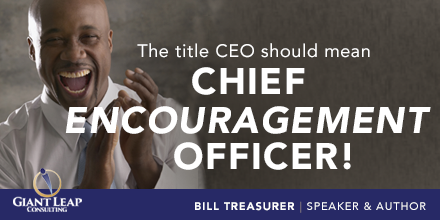 "Bill did a great job of connecting with members of our organization and presented his program of Courageous Leadership in a creative and enjoyable manner." 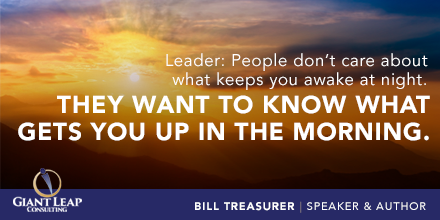 Among others, Bill has led workshops for NASA, Accenture, Lenovo, USB Bank, CNN, Hugo Boss, SPANX, the Centers for Disease Control and Prevention, the U.S. Department of Veterans Affairs, and the Pittsburgh Pirates. 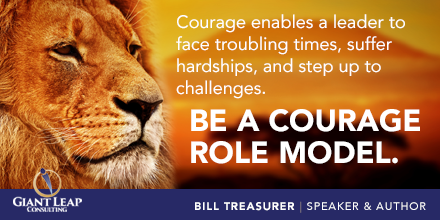 Bill’s insights about courage and risk-taking have been featured in over 100 newspapers and magazines, including the Washington Post, NY Daily News, Chicago Tribune, Atlanta Journal Constitution, Boston Herald, Woman’s Day, Redbook, Fitness, and The Harvard Management Update. 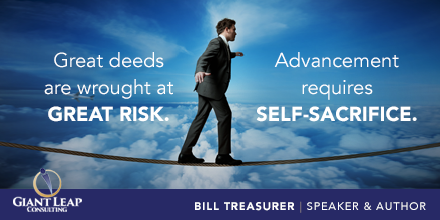 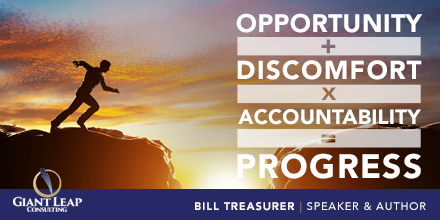 Download Bill's one-sheet speaker profile and program topic list to get started now. 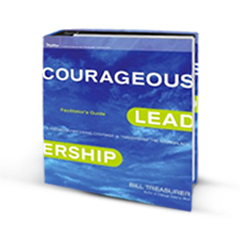 "Bill's talk was delivered in a clear, straightforward way and created a compelling reason for practicing courage. 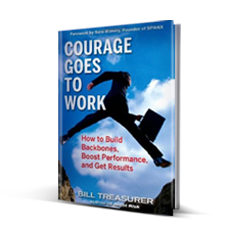 Our associates walked away with easy to implement strategies for demonstrating the three buckets of courage every day." 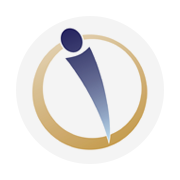 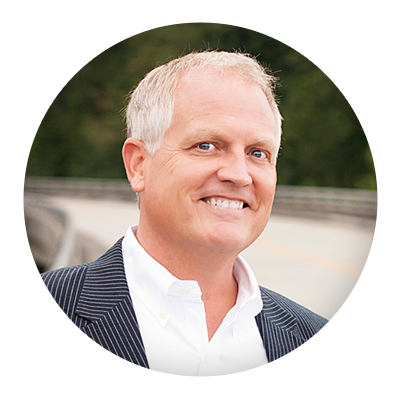 "Bill really did an outstanding job – our clients were impressed and took away tangible ideas that can put into practice immediately. 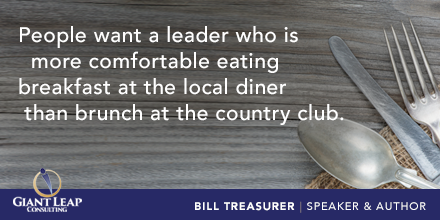 He has a great balance of informal style and subject matter expertise. " 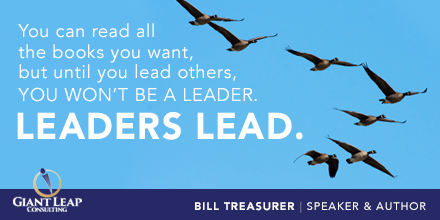 ~ Margie Mauldin, Founder & President of the Executive Forum. 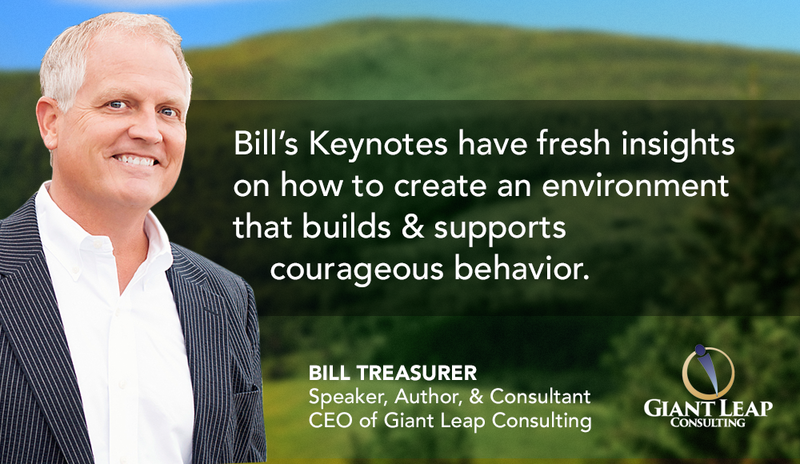 "Of all the folks who have keynoted our conferences, Bill was the best at both inspiring and educating our audience…his delivery was flawless. " 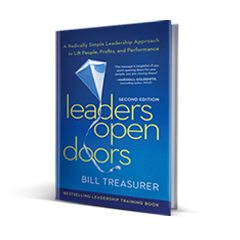 "Everyone was impressed with the time Bill took to understand our challenges, and how relevant he made the material to our workplace. 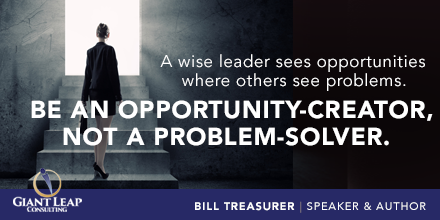 This session was truly top-notch. " 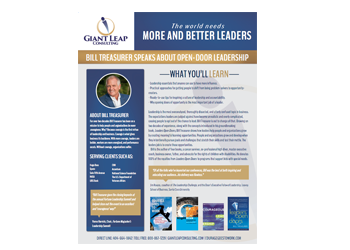 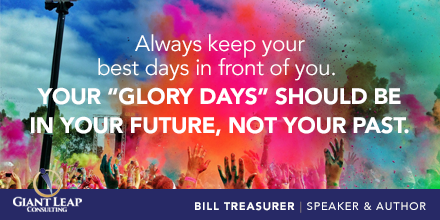 "Bill Treasurer gave the closing keynote at the annual Fortune Leadership Summit and helped close out the event in an excellent and courageous way." 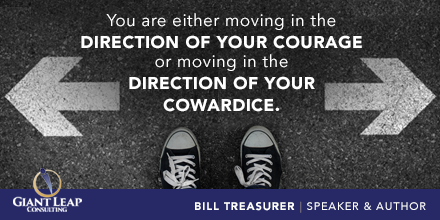 Bill holds a Master’s degree from the University of Wisconsin and a Bachelor’s degree from West Virginia University where he attended school on a full athletic scholarship. 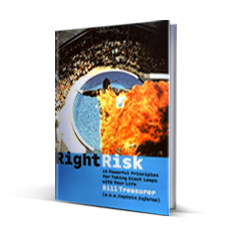 In addition to being an author & a business owner, Bill is a former U.S. High Diving Team captain , a cancer survivor, and the father of three children.